The rising cost of prescription medicine has become a political hot potato, in addition to being a financial burden for consumers taking drugs to prevent or treat a health condition. The more prescriptions you take, the higher the monthly cost is likely to be. Since older people tend to take the most prescriptions, they tend to feel the heaviest burden. 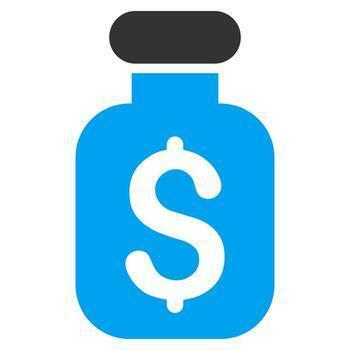 The University of Michigan National Poll on Healthy Aging quizzed adults between the ages of 50 and 80 to try to understand the impact of medication costs. It found 27% of those in the survey reported their prescription drug costs posed a financial burden. One in six pointed to an additional problem -- managing a highly complex mix of six or more medications, often prescribed by more than one doctor. Not surprisingly, they were most likely to say their drug costs were a burden. The poll also uncovered a potential solution -- or at least, a partial solution. It found that seniors, for the most part, do not talk to their doctors about their prescription drug problems. If they did, the authors say, their doctors might be able to offer some help. While half of the seniors in the survey hadn't talked to their doctors about the high cost of drugs, the half that did often found some relief. Sixty-seven percent said they got a prescription for a less expensive drug. Thirty-seven percent said they got similar help from their pharmacist. Doctors may also be able to provide additional help if they can guide their patients to patient assistance programs offered by pharmaceutical companies. These programs are usually income-tested, targeting them to the very group that needs the most help. For example, Merck provides its medicines and adult vaccines for free to people who do not have prescription drug or health insurance coverage and who, without assistance, could not afford the Merck medicine their doctor prescribed. Pfizer's assistance program, called RxPathways, connects eligible patients to a range of assistance programs. The support ranges from insurance support to free or discounted medicine. Most pharmaceutical companies offer some type of income-based assistance, so it is important to know which companies make your prescription drugs.